The day is finally here!! It is kick off time fellow crocheters!!!! This pattern is a private pattern that is being released for free only during this Crochet-A-Long and to the people that are participating in the event. 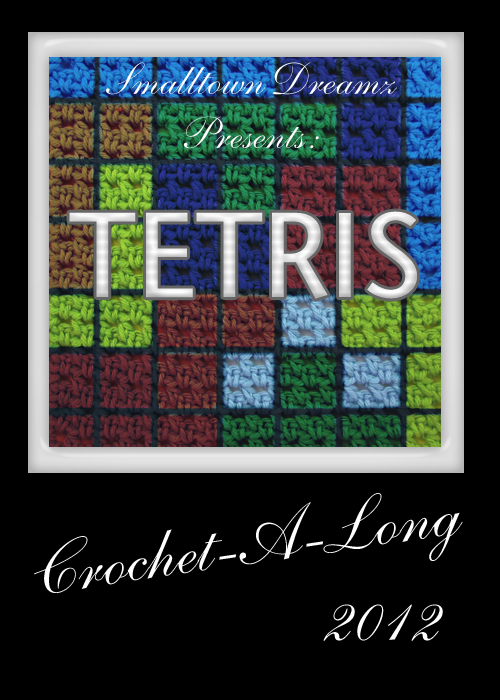 The pattern will only be released to the individuals that sign up for the Crochet-A-long on the Smalltown Dreamz Facebook Events list. For those who sign-up I will be sending everyone an invite to a special group that I made on Facebook in which every Monday a new section of the pattern will be released. In this group you will be able to ask questions if you get stuck or don't understand something. Myself or one of my helpers will be able to answer them for you plus you can interact with other participants. Here is a quick link to the sign up page for the Crochet-A-Long. Also each week we will have a place where you can upload what you did the week before so that we can see everyone's individual work. Now doesn't this sound FUN!!!!! Make sure you spread the word to all your crocheting friends!! !